Ajay Bhargove has successfully pro-cured multimillion-dollar projects within power distribution utility services—solar, oil, and gas—as well as combined-cycle power- plant industries. His most recent engagements include volunteering for the PMI North India Chapter as an author and re-viewer of various articles. He has been leading a commercial and procurement organization for the service sector with a multinational company in Gurgaon, India. He has more than a decade of diverse experience in the power and energy industry. He is a self-motivated individual and be-lieves in giving back to the community. He has given volunteer training on project procurement for candidates preparing for the Project Management Professional (PMP)R certification exam. He is also known for his contribution within organizations for making teams aware of IncotermsR 2010 and other procurement and commercial-related training. 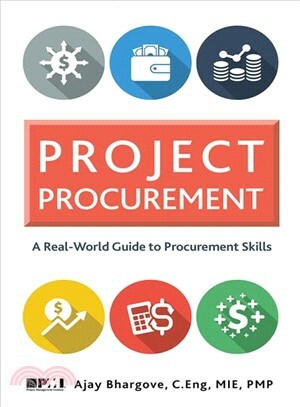 He is an active member of the Project Management Institute (PMI) and is the author of several popular articles for his local chapter, including: Pros and Cons of Negotiation,?Project Risks and Procurement,?How to Deal with Project Changes?and Succeed. ?Apart from his association with PMI, he is an active associate member of the Institution of Engineers (India). He is also an OHSAS 18001:2007 Lead Auditor from DNV-AS. He holds a bachelor’s degree in electrical engineering with honors from Chottu Ram State College of Engineering (Murthal), Sonepat (Haryana). He has received multiple written appreciations for his negotiation strategies and substantial savings to the organizations he has worked for. Above all, he is a proud son, husband, and father of two beautiful children, Aarav and Ahana.